The hosts have the upper hand after the third day's play. India A was all over the visitors on the third day of play in the ongoing 1st unofficial Test. After losing the opener Abhimanyu Easwaran, KL Rahul and Priyank Panchal carried on to bat on the third day. However, a little lapse in concentration put curtains to Rahul’s innings right in the second over. The right-hander failed to get to three-figures as he was dismissed by Danny Briggs for 89. Even though he didn’t reach his century, this innings will surely boost his confidence. He has struggled to put bat to ball in the last one or two months. His partner Priyank Panchal, though, was terrific with the willow. The 28-year-old Gujarat player went from strength to strength as the day progressed. He was unbeaten on 89 at the end of Day-2. He got to his century within no time and continued to dominate the bowlers. Even though he lost two batsmen at the other end in quick succession, Panchal didn’t let his concentration deter one bit. 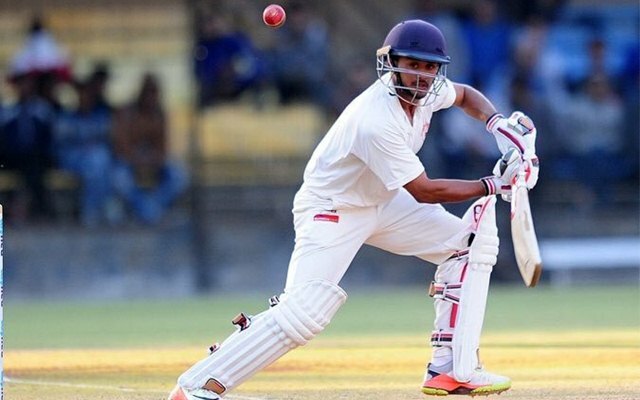 Skipper Ankit Bawne and Ricky Bhui were the two batsmen dismissed in this duration. While the captain bagged a duck, Bhui was out for 16. Priyank was then joined by wicket-keeper Srikar Bharat and there was no respite for the bowlers at all. Panchal notched up 206 runs before Zak Chappell dismissed him. Bharat played an aggressive knock and got 142 runs off only 139 balls before he was dismissed. Jalaj Saxena and Shardul Thakur added a quickfire 28 and 12 respectively before India A declared at 540/4 with a lead of 200 runs. The English openers, Max Holden and Ben Duckett survived the final five overs of play without losing any wickets. They added 20 runs together in 5 overs. The play had to be cut short due to bad light. Match Situation: England Lions trail by 180 runs.